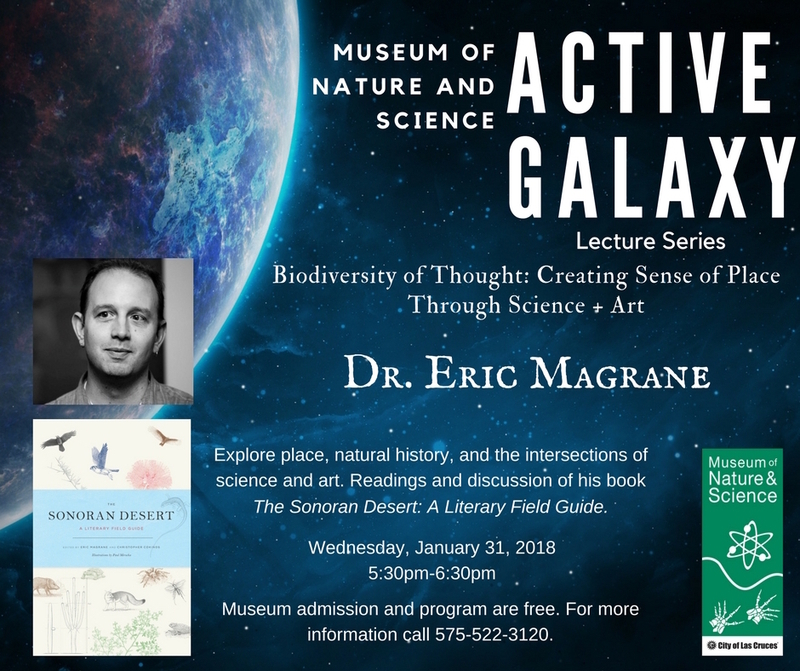 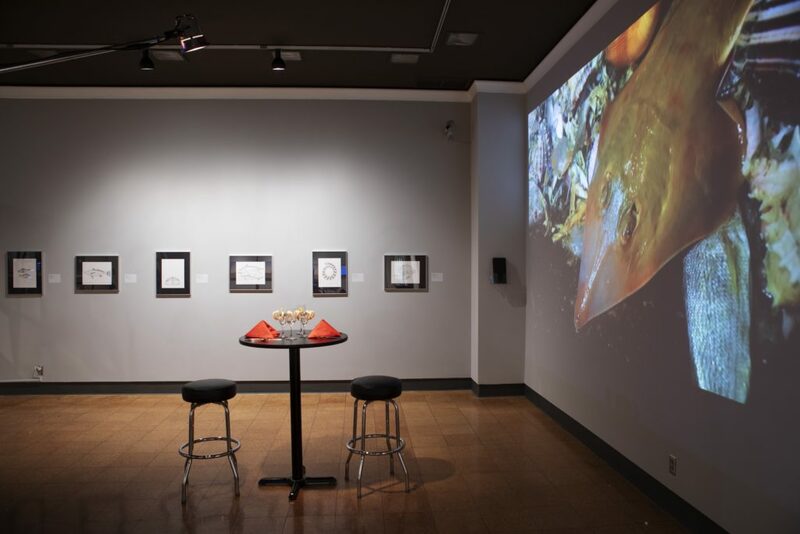 The 6&6 art-science exhibit at the University of Arizona Museum of Art is up through March 31, 2019. 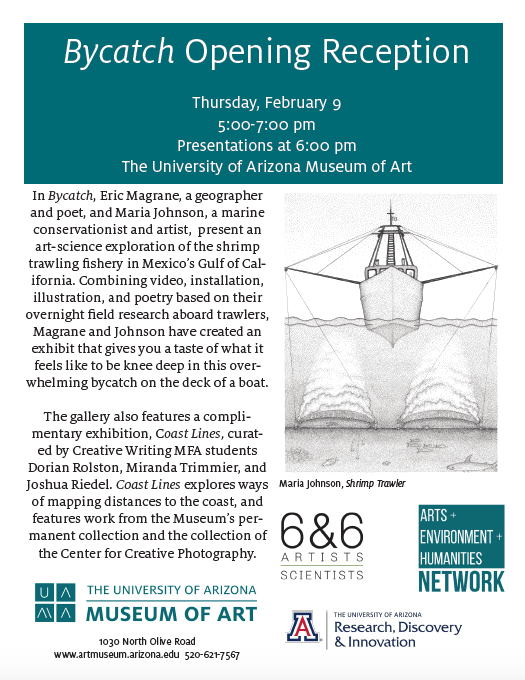 My collaboration with Maria Johnson, Bycatch, is included in this exhibit. 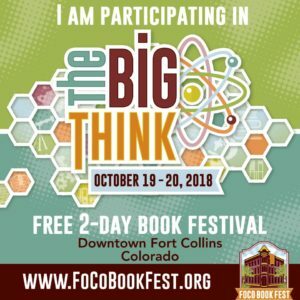 I’ll be in Colorado at the Fort Collins Book Fest later this month, where on October 20 I’ll lead a “Walking and Writing Place” workshop with Michael McLane and then be part of a panel called “A Good Earth is Hard to Find” with Susan A. Shriner, Gillian Bowser, Sam Kean, and moderator John Calderazzo. 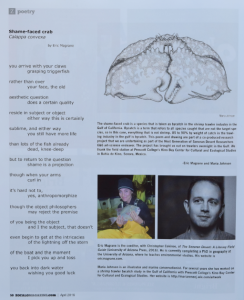 Also, over at Stanford’s Millennium Alliance for Humanity and the Biosphere (MAHB), Erika Gavenus has written a nice feature on my collaboration with Maria Johnson called Bycatch – The Complexities of Shrimp Trawling in the Gulf of California: A collaboration between Maria Johnson and Eric Magrane.